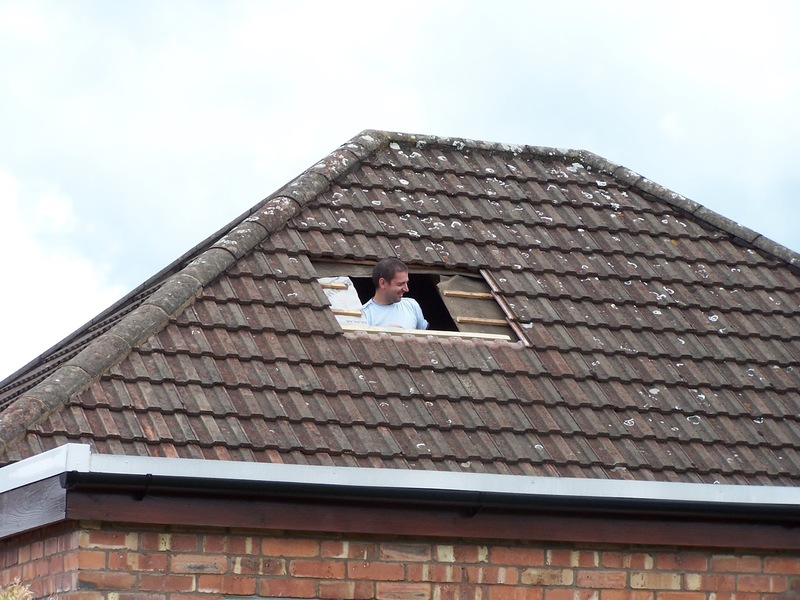 Four hefty boxes were delivered a couple of weeks ago - two skylight windows and flashings. 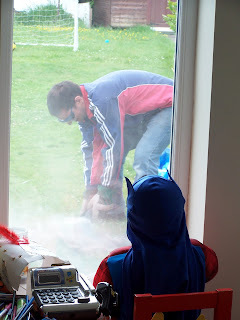 Hubby duly disappeared into the loft last Saturday and I was, once again, on child entertainment duties. 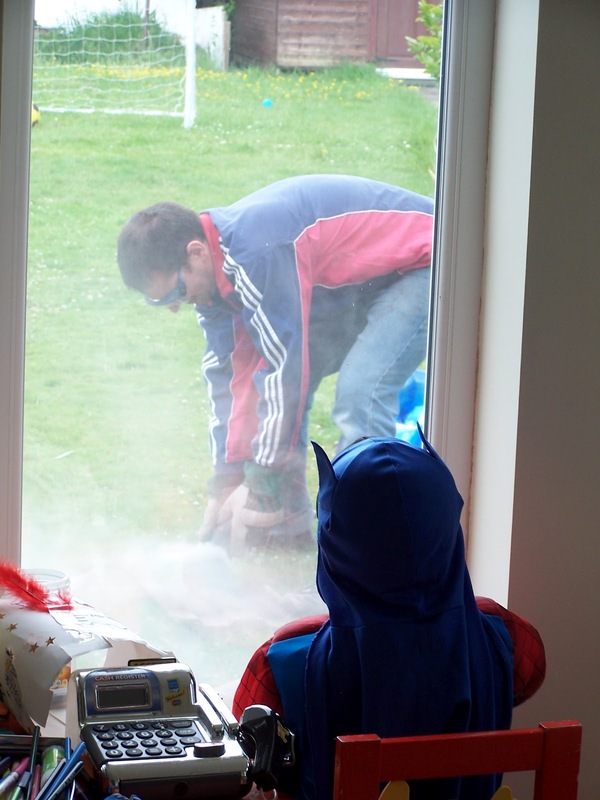 Luckily, window fitting requires dry weather so my job was made easier by being able to play in the garden all day. Every so often we would see Daddys head pop up through the ever-increasing hole in the roof. Even our elderly neighbour took a pew in his garden to watch progress, shouting over helpful comments to Hubby such as 'you realise it's not in the middle'!! I was also on weather watch which is pretty tricky in flat Cheshire - the furthest I could see was over to the next street!